Nollywood actor, Femi Branch in fresh trouble as reports say he was charged to the Ikeja Magistrate court recently over issuing of a dud cheque to an hotel in Ikeja, De Santo to the tune of 1.5million naira. 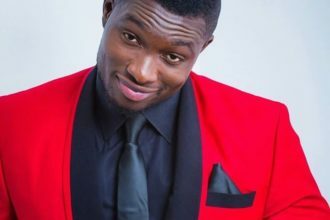 A source reportedly claimed that the famous Yoruba actor stayed in the hotel and its facilities for months and issued a fake cheque to them for their sevices. When this happened the management of De Santo Hotel went to the police and lodged a complaint. The actor was arrested and charged to Ikeja magistrate court 1 on the 20 of November, 2015. He was granted a bail of N500,000 due to self-recognition. In the court ruling, Femi Branch was remanded in Kirikiri Prison until he could fulfill his bail condition.